Hartington is a prosperous little village standing at the northern end of the Dove Valley which still has the air of a bustling market town, although it is many years since a market was last held in its spacious Market Place. It holds the record of having the earliest recorded market charter in the Peak. In 1203, King John granted the right for William de Ferrers, Earl of Derby, to hold a market every Wednesday, and also for a three-day fair at the festival of St Giles, the village’s patron saint, in his manor at Hartington. There has been a well established “famous” cheese shop in Hartington for approximately 30 years. The current owners purchased the shop in 2009 and have since greatly expanded the range of cheeses on offer both in the shop and to trade customers in the area. 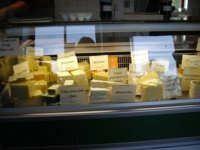 The shop specialises in English, and UK, cheeses (many from local artisan cheese producers) and the staff pride themselves on their knowledge of cheese. 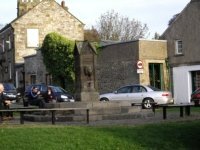 The shop is situated in the quaint village of Hartington and overlooks the village duck pond. Hartington can be found in the Peak District National Park close to the towns of Buxton and Ashbourne, just off the A515. The shop is open 7 days a week from 9am until 5pm. Remember you can always buy your cheese online at any time from Hartington Cheeseshop. 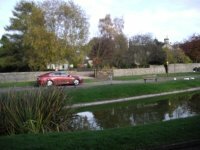 We also have shops in Cromford and Bakewell, both great places to visit in the beautiful county of Derbyshire. If you aren't lucky enough to live near one of our well stocked shops, remember you can always buy your cheese online at any time from Hartington Cheeseshop.